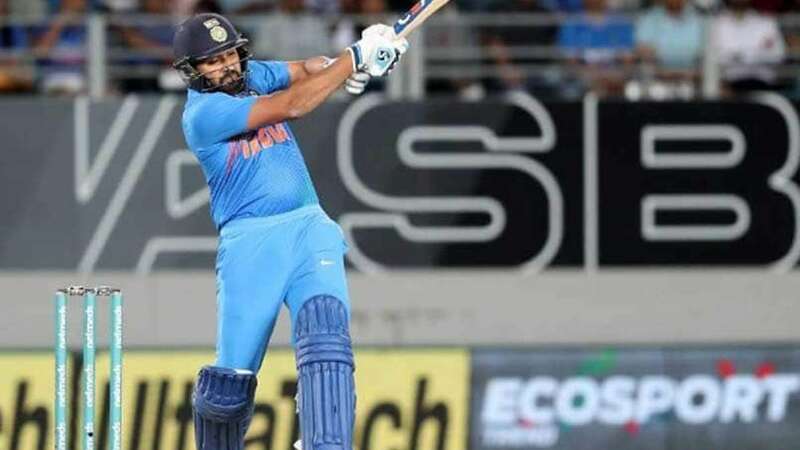 New Delhi : Indian skipper Rohit Sharma, who became the leading run getter in the T20 International cricket, played a brilliant knock in the 2nd T20I to ensure Team India's win against New Zealand, levelling the three-match series 1-1. Rishabh Pant was unbeaten at 40 with MS Dhoni not out on 20 when India successfully chased down 159-run target with seven balls to spare. Earlier, Colin de Grandhomme top-scored for New Zealand with 50 runs as New Zealand managed to score 158 for eight in their allotted 20 overs after opting to bat. Skipper Rohit Sharma scored 50 runs in just 29 balls, Shikhar Dhawan scored 30 runs in 31 balls. With a quick 50, Rohit Sharma became the highest run-scorer of the T20 International cricket. The series has now been levelled 1-1. The final match of the series will be played in Hamilton on Sunday. Krunal enhanced his already growing reputation as a steady short format bowler with three important breakthroughs as India restricted New Zealand to a below-par total. The parsimonious Krunal (3/28 in 4 overs) dismissed Colin Munro (12) and skipper Kane Williamson (20) to peg the Black Caps back early in the innings.